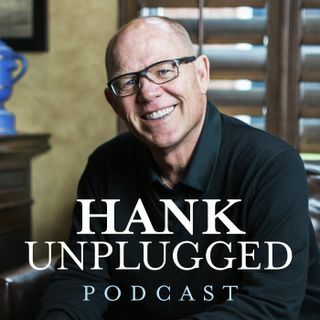 This week, Hank is joined on Hank Unplugged by Dr. Richard Poupard. Poupard is a board certified surgeon with an MA in apologetics, which gives him a unique perspective in examining the ethics of scientifically related issues. Whether he is questioning the compatibility of marijuana, birth control, or cloning with a Christian worldview, the driving force of Poupard’s work is examining whether or not we value one another as human beings made in the image of God. Per usual, this is a wide-ranging ... See More and insightful conversation that you won’t want to miss. Topics discussed include: The ethics of modern board games (2:30); The importance of being an open-minded, life-long learner (5:00); How Rich, a medical doctor, developed a passion for apologetics and discovered the need for mystery to accompany logic (7:00); Avoiding the pitfall of pride and merely winning arguments while practicing good apologetics (12:00); How Christians should view the rising acceptance of marijuana (14:00); The difference between having a glass of wine and smoking weed (19:30); The changing views about fertility and is birth control Biblical? (21:30); The ghastly consequences of experimentation on embryos and the time that Hank held a frozen embryo named Elise (31:00); Christians using In Vitro fertilization (35:00); Is human cloning compatible with Christianity? (36:30); The problem with using the term sexual purity (38:00); Challenging our notions of lust, modesty and objectification of women (44:30); Harvey Weinstein as an opportunity to reexamine the accepted ways that we often view women (47:30); End of life issues and the slippery slope of euthanasia (54:00); The ethics of plastic surgery (58:00); How suffering can bring us closer to Christ (1:01:30); The importance of being equipped to use apologetics as an ambassador of Christ (1:05:00); The question that drives all of Poupard’s work: “Do we value human beings as made in the image of God?” (1:08:00).